For sunroom installation and other sunroom products in Harrisburg, the company to call is PAsunrooms. 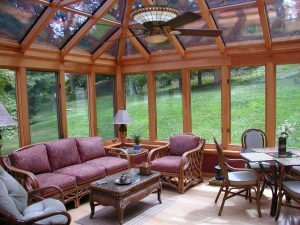 We distribute a wide variety of Four Seasons Sunrooms & Windows additions for your home in Harrisburg or other locations throughout Central PA.
You’ll also find high-quality sunroom accessories like screen enclosures and replacement windows, all at prices to fit your budget. Studies have shown that natural light is much healthier for you than the artificial light we are accustomed to having in our homes. Natural light provides vitamin D, a necessary nutrient, and it has been found to improve mood and alleviate symptoms of depression. 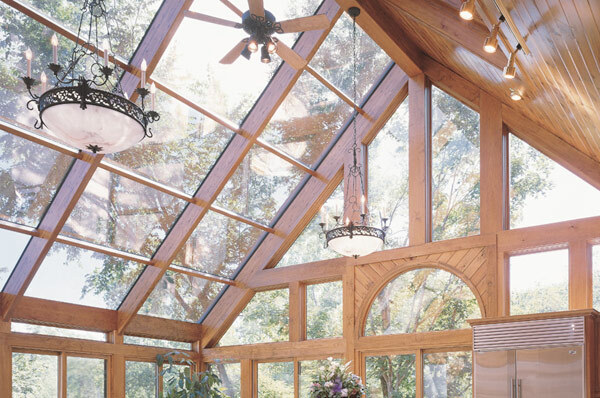 A sunroom provides easy and complete access to wholesome, welcoming, natural light. Almost everyone appreciates spending time outdoors, but you don’t always have time to go visit the local park. Also, sometimes you want to enjoy the outdoors without subjecting yourself to the elements — or, for that matter, putting on shoes. A nice, well-constructed sunroom from Four Seasons Sunrooms allows you to bring the outdoors inside. A sunroom enhances the many benefits of your home. You can use it as a calm place to spend quality time with your loved ones, a place to have an impromptu gathering or a place to escape for a quiet hour of reading. A great sunroom makes all the things that are wonderful about your home even better. A sunroom adds an air of sophistication and elegance to your home. It can unify your décor and even inspire some of your home designs. Your friends and neighbors will certainly appreciate the effort you have put into renovating your home. Contact Us to Revolutionize Your Home Today! 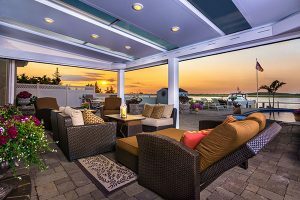 For 30 years, PAsunrooms has been beautifying homes in the Harrisburg area with customizable, high-quality Four Seasons Sunrooms products. For a free in-home consultation, give us a call at 717-564-2244 or fill out our contact form. We can’t wait to give your home a whole new, beautiful, expansive look that you are sure to love.